Equipment is critical to building scientific capacity globally, but we know it doesn’t end there. Equipment is just the first step. It takes all types of resources—professional connections, technical expertise, and financial support—to foster hubs of scientific innovation around the world. MilliporeSigma, the Life Science business of Merck KGaA, Darmstadt, Germany, has always understood the impact of going beyond equipment in their support of Seeding Labs. 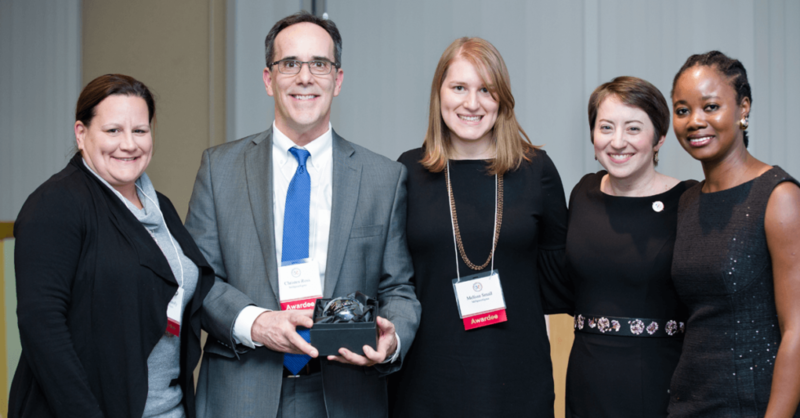 For initiating innovative ways to engage employees company-wide in Instrumental Access, MilliporeSigma was honored with a Global Visionary Award at Positively Instrumental 2018 on March 21. MilliporeSigma has leveraged its passionate team of employees in volunteer events. Most recently, it engaged employees in lab clean-outs and equipment scavenger hunts to find surplus equipment ready for donation. These events were so successful, both in employee engagement and identifying equipment for Instrumental Access, that MilliporeSigma is helping Seeding Labs write a manual so that other companies can replicate the experience. And still, MilliporeSigma saw there was potential for more. Last month, with financial support from MilliporeSigma and the involvement of employees from research to field marketing to human resources, Seeding Labs launched the TeleScience platform. 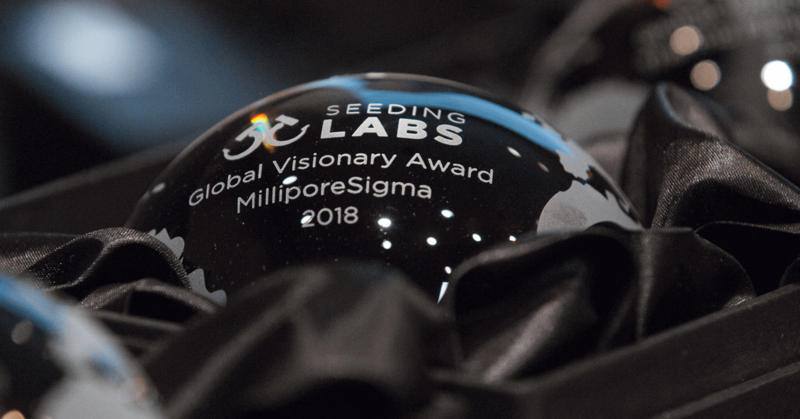 "Through our long-standing partnership with Seeding Labs, we're able to connect scientists around the world to additional, much-needed resources, bringing them one step closer to the next great scientific breakthrough," said Chris Ross, Head of Integrated Supply Chain Operations, MilliporeSigma. "We are honored to collaborate with Seeding Labs to help solve the toughest challenges in science regardless of where in the globe they reside," he said. 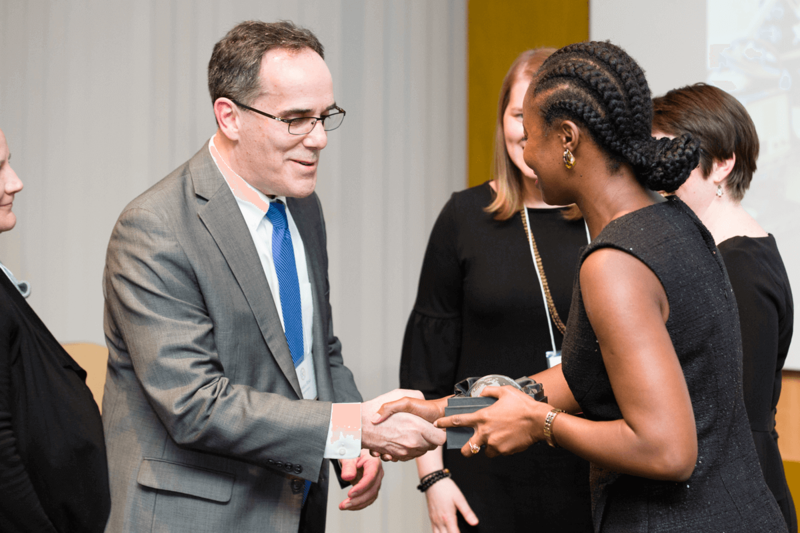 At Positively Instrumental, Dr. Muvari Tjiurutue, an Instrumental Access 2018 awardee from the University of Namibia, presented the Global Visionary Award to MilliporeSigma’s Renee Connolly, Head of Communications and Corporate Responsibility; Chris Ross, Head of Integrated Supply Chain Operations; and Melissa Small, Global Manager, Community & Partnerships (pictured at top, left to right, with Seeding Labs founder and CEO Nina Dudnik and Dr. Tjiurutue).